Nutshell – short, sweet and succinct! I need to play around with this a little more and it depends on students having access to digital devices but it could be useful for encouraging students to create short little discussion point clips perhaps about their local area or even short little revision clips for a key concept or case study reminder. Or even to quickly summarise what they have learnt in the lesson! Anyway – I’m looking forward to having a play! The brilliant Russell Tarr from Classtools.net has created a great new review game called Connect Fours. As with all the fantastic tools on the classtools.net website, they are free and can be hosted on blogs, websites etc. and require no password or signup. The game consists of a wall with 16 clues which then need sorting into 4 rows of connected items. A sample game can be tried out here. There are many good ways to put this to use as a little starter or plenary activity on the IWB to check understanding and to act as a stimulus for class discussion. I am going to try it out as a starter for a forthcoming Year 12 revision lesson to practise categorising landforms in cold environments. Richard Byrne from Free Technology 4 Teachers has created a short youtube clip showing how to create a review game using Connect Fours. Classtools.net also has a fanpage on Facebook with frequent useful updates and is worth a follow! This is an app that I am just start to play around with for my GCSE and VI form groups to help me look more at questioning. 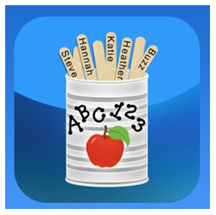 You can set up a class and each student has a named ‘virtual’ lollipop stick. When you create the students stick you can allocate this stick a question stem mode (Bloom’s, Bloom’s Revised or ELS) and level of difficulty (e.g. knowledge / comprehension/ analysis etc.). There is also an option to just create the stick with no question specifically attached if you just want to use it as a random way of selecting students. It is possible once a student has been selected once to set their stick as used so it wont be added back in the can and they wont be picked again that session. If you have set the stick to have a question stem mode, each time the student’s stick is drawn you will be given over a dozen questions (e.g. related to Bloom’s Taxonomy) these will be tied to the learner’s individual ability level which you will have set when you allocated each student a stick. This video gives a quick overview of some of the functionality. As you can see on the video the app gives you the options to use Blooms or ESL (English as a second language), therefore Questions can be linked to cognitive / linguistic needs. You can set up multiple cans (classes) filled with sticks (students). If you want to take it further you can track formative assessment for each question. On asking a question, by clicking ‘assess’ by the students name, you can then select a corresponding correct, incorrect, or opinion button based on the student’s answer. On the basis of your selection you then also have option to rate the answer. There are aspects of this you wouldn’t necessarily want to be showing on the board at all times – for example the assessment you make for a student wouldn’t necessarily be suitable to share with all students – but you don’t have to use the assessment part at all – indeed I think I am going to be able to make good use of just the ‘random’ selection tool and the question stems.ng a question by clicking ‘assess’ by the students name, you can then select a corresponding correct, incorrect, or opinion button based on the student’s answer. On the basis of your selection you then also have option to rate the answer. There is another video here with a teacher review of the app. Thanks to Danny Nicholson (Whiteboard Blog) for the heads up on these excellent resources for Science and Maths (would be very useful for KS3). 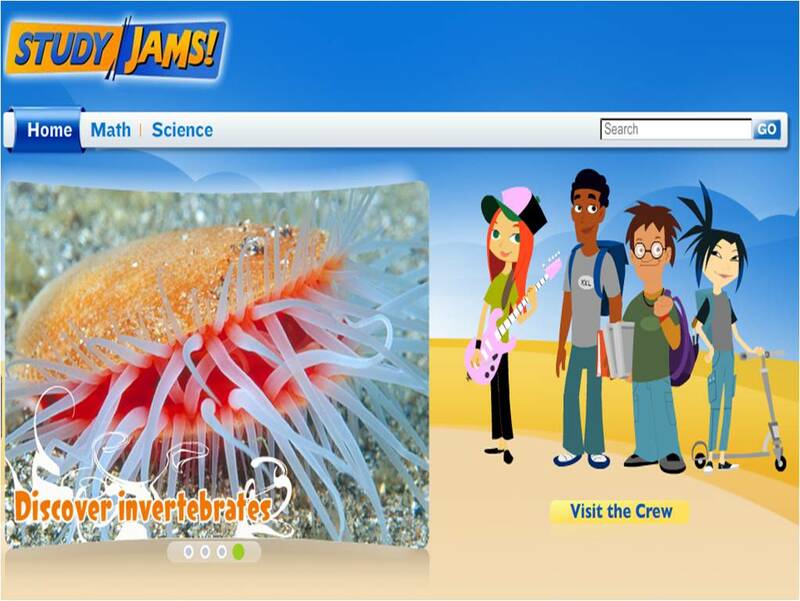 StudyJams is a website from Scholastic with many free resources, including teaching videos / animations and slide shows on a variety of Science and Maths topics. Each topic covered also has key vocabulary lists as well as a test yourself option and some even have fun ‘Karaoke’ sing alongs to help revise concepts! Well worth a look! Danny Nicholson of the Whiteboard Blog has published this short video (8 mins) from a recent Teachmeet session he did showing 6 quick ideas for starters using the IWB – some great ideas here to get you thinking and easily adapted for all curriculum areas! Well worth a watch!